Why is Microsoft ending support? What does that mean? 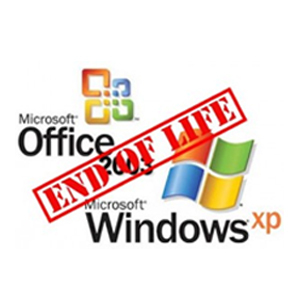 Microsoft officially ended product support for Windows XP and Office 2003 in April 2014. Microsoft will not be providing any security updates or technical support for these products. That means these products in time hackers will find ways to hack into them and without updates these holes will not be closed as in the past with updates. In other words if you are on the internet with a Windows XP machine users and their data will be susceptible to computer hackers and a higher rate of virus’s and malware. Microsoft goal is to move customers to more modern software and focus their programmer’s attention on providing higher security, more productivity, and a lower cost of ownership through the synergy of improved software. Migration to current software will allow users and their data to receive security updates to protect their data from malicious attacks. 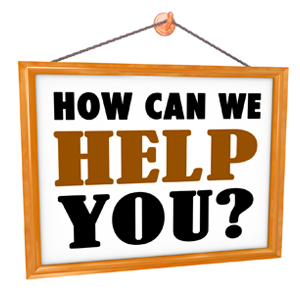 How can Heartland Computers help? b. It’s simple; now is the perfect time to upgrade your computer. We know you have been trying to squeeze every last once of use out of your old computer but with a new computer you will find yourself more productive and have more time for other activities. Plus we also know you have heard the horror stories of people having to learn how to use the new operating systems. The truth is Windows 7 is a lot like XP and Heartland Computers tries to carry a strong selection of Windows 7 computers. For Windows 8 there is a learning curve but Heartland Computers is here to help. 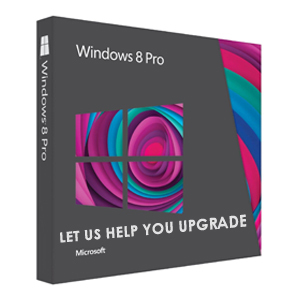 For most of our customers purchasing Windows 8 we can install software that brings the look and feel of the computer more like Windows 7. If that’s not enough for a fee we can remove Windows 8 and install Windows 7 for you. Another option for older software perhaps Windows XP Mode in Windows 7 will be all you need? The second link below from Microsoft explains Windows XP Mode. How do I migrate to Windows 7 or Windows 8? What about my Data? Here too we have you covered at Heartland Computers. The truth is most computers running XP will not be able to upgrade to Windows 7 or Windows 8. So we suggest you upgrade your current PC. If you want to know if your XP machine can be upgraded Microsoft has a software program you can download on your XP machine to see if your system meets the requirements or you can simple bring in your machine and we let you know your options. Your data is very important to you and we know that. 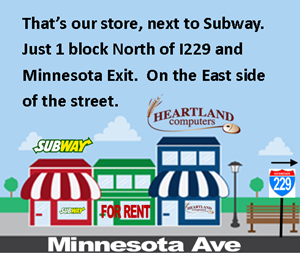 At Heartland Computers we don’t just sell you a new computer and push you out the door like a big box store. No we have you covered. 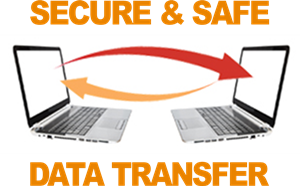 There are a number of options but the easiest one for our customers is to pay us to perform the data transfer. Our rates are ridiculously low with a transfer cost of $1.00 per 1 gigabyte with a max of $49.95. The big geek box store charges $99.99 for this service alone! 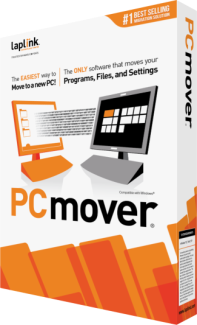 If you want to do it yourself Microsoft does have a software program called Windows Easy Transfer but only applies to Windows 7. For Windows 8 users Laplink is the best and we have included the link below.